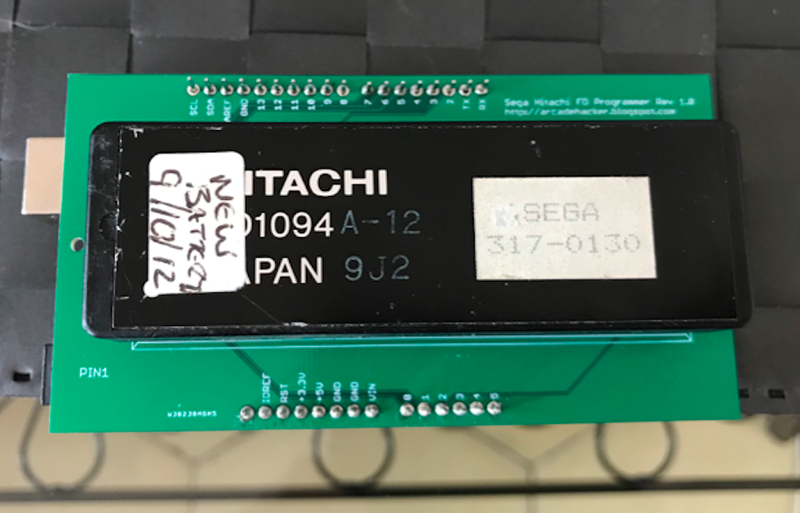 CNCing (and Reverse Engineering) the Hitachi FD1089 CPU Security Module on the Sega System 16 (Circa 1985) « Adafruit Industries – Makers, hackers, artists, designers and engineers! Developing project from ‘Arcade Hacker‘ Eduardo Cruz – watch the video below for the CNC clip! I’m glad to announce the successful reverse engineering of Sega’s System 16 cpu security modules. This development will enable collectors worldwide preserving hardware unmodified, and stop the general discarding of Hitachi FD modules. The project is right now involving external testers so expect further details and full disclosure over the coming weeks.